Sports betting online can be an effective way of getting an additional exciting thrill out of a sports event by making some money — or losing it — along the way. Gambling, of course, is always a high-risk exercise, but done properly and you can try to assuage the bookies tricks or “house advantage” in your favour. How do you do this? Well, you can start by knowing how sports betting works and by following these sports betting tips to become an armchair expert. 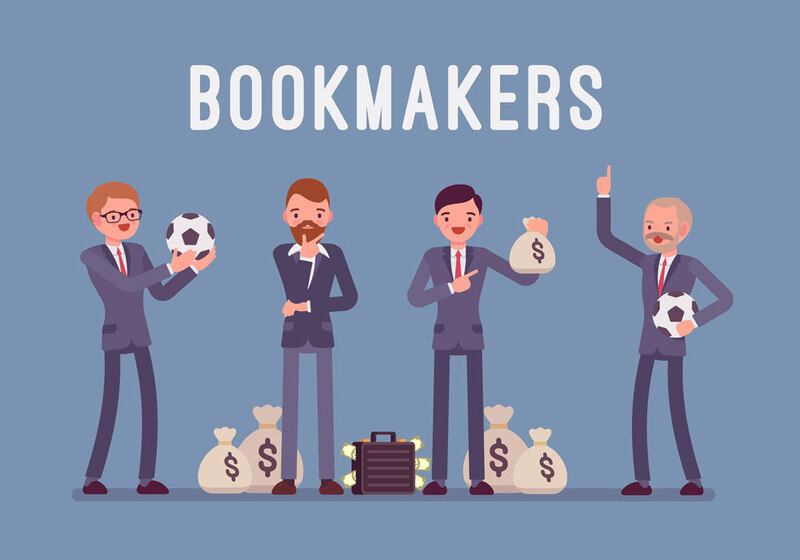 This may go without saying, but if you know your sport, your team and the history of odds at play inside out, then you are likely to beat the bookie. Remember, a bookie’s job is to know the odds and to pitch them correctly, but even then this leaves room for you to make a winning bet. By knowing the inside details and following the sport thoroughly, you will have the advantage of knowing what to expect. Perhaps a well reputed team is underperforming and the underdog is feeling momentum. This may not be reflected in the odds. Perhaps a coach has fallen out with a player amid personal issues. This knowledge can prepare you for making a smart bet. By noticing common opinion that is distorted from reality (see a star player with too much public expectation), you can spot a bet that is likely to flow the other way. Think of this another way, players with good public relations are often more favourable received by bookies because the public wants them to win. Don’t just follow favourites; follow analysis. Conversely, don’t follow your heart; follow your head. Spreading bets all over the shop may seem like smart thinking at first, but it is far more risky. If you concentrate your bets into a few safe options, you can consolidate greater winnings. After all, the biggest bets made on singles are always the largest earners. If you know your sport well enough, you can place bets with more favourable — but safe — odds within a game. Look for details pertaining to what happens within the game itself rather than the outcome. For instance, betting on an individual player scoring a goal will have a greater return than betting on a team overall. Look to bet on these details. We all know big games attract the most punters. But odds for lesser games, sports and events can offer a more hefty return. Often the odds are more fickle for new or fringe sports. Even MMA offers decent odds these days for uk sports betting. Most bookies will have special events before a popular sport. This can be anywhere between a week to a day before the event itself. If you are aware of these promotions, you can boost your price during the period for more favourable returns. It is also worth searching around for new websites with introductory offers. If you know a popular event is coming up, place your bet at the right time to make the most of these promotions. Although we can all fall into habit through loyalty schemes and a saturated email inbox, shopping around for odds and promotions can prove beneficial. It is always worth checking offers and odds available from multiple online sports betting companies. For instance, Betfred double the odds if a player scores twice, trebling the odds for a third goal. However, Ladbrokes double the odds if a player scores within 25 minutes. Most bookies have their own version of scenarios like this. Likewise, look elsewhere for odds – sometimes they vary. Odds-on betting can seem like a guarantee, but these sure-fire odds will leave you with little extra reward. Instead, consider researching new and rising players with a more agreeable price. After all, relative unknowns have less betting security and favourable odds. As long as you have done your research, these bets can be a great way to make more. A warning that any gambler should take note of. As long as you know your limits of spending and frequency, you can feel more confident in your betting. Never make rash and impulse decisions; stay focused and strategic. You may find your own quirks that have helped in beating the bookies. However, no one trick is fool proof and it takes the first rule of betting — knowing your sport — to receive the best rewards. Just remember, we can all have ups and downs.